Alhamdulillah for the opportunity to go to Beijing for the second time, although at a very last minute. Heck, my visa was done in a few hours, just a day before the trip. And above all, it was during the height of the unsolved mystery of the missing MH370 flight. 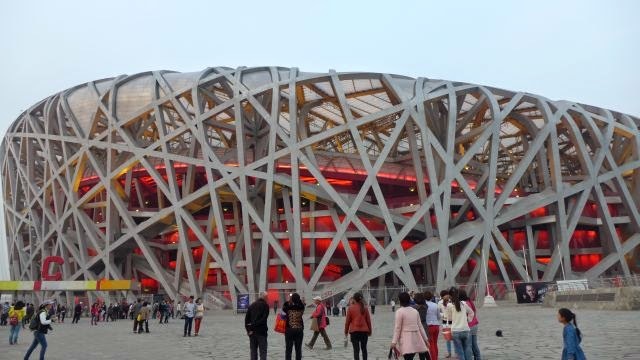 It was a mixed feeling of suspense, knowing we'd be following the scheduled route of the missing flight; and being excited to see Beijing again 9 years on. Our flight code was now changed to MH318 which departed at 1230am and arrived in Beijing 6.35am (a 6 hours flight). Alhamdulillah, we arrived safely, as per schedule. We then took a taxi to Beijing city which took us about 1.5 hours due to the very bad traffic! It was rush hour after all. Apparently, we have taken an unauthorized taxi, whose driver was prying on unsuspecting victims at the arrival hall. We were charged RMB 280, without using the meter. 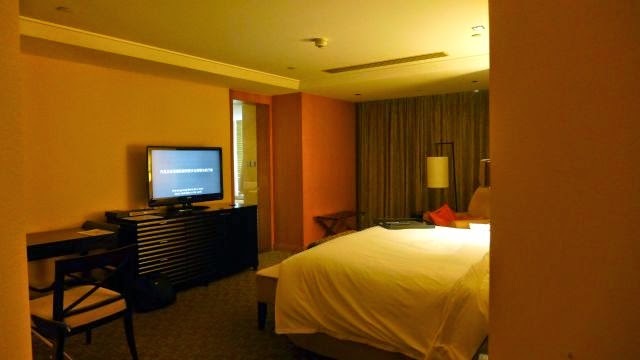 The Intercontinental Hotel at Beijing Financial Street was fabulous! 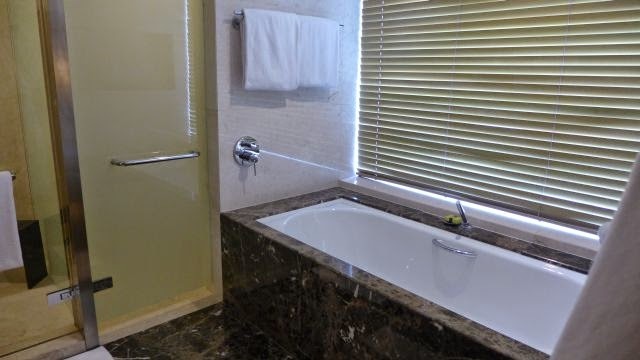 Snugly bed, spacious room, with kiblah direction to boot! and excellent indoor swimming pool which I had the opportunity to swim a few laps to burn the calories after eating really delicious Chinese food courtesy of our host. Our hosts were really gracious, and giving full interest to our proposition, despite some language barriers here and there. 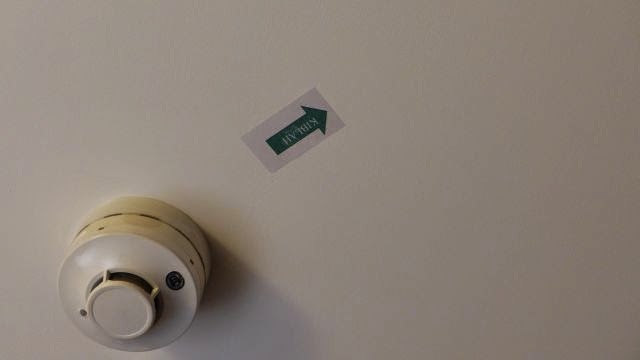 Kiblah direction in the room! 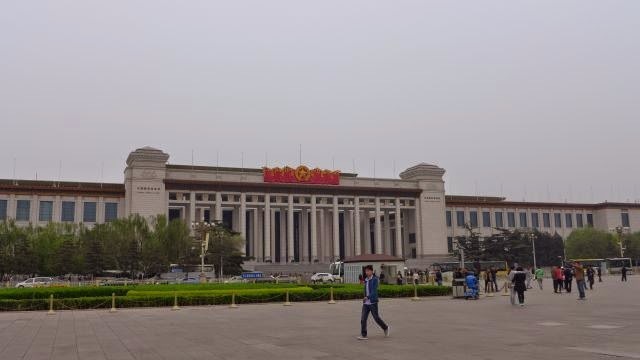 On the last day after our meeting has finished, we made a detour to Tiananmen Square via the Metro. 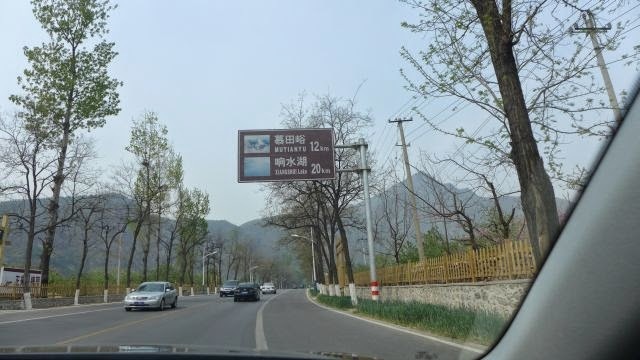 It was easy navigating our way as there was clear signages in English. It was very cheap also. 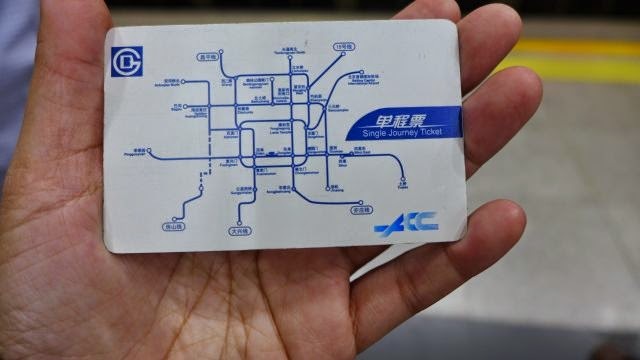 A one way ticket costs only RMB2 from the point of entrance to the point of exit, regardless the distance of the journey. It was still chilly in April, but despite the chillness, local and tourists alike still thronged the square in the evening. 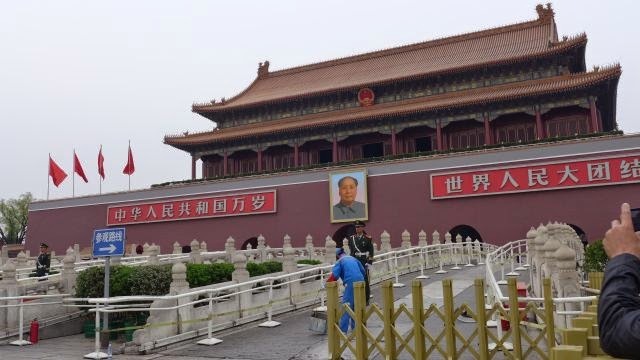 Tiananmen Square is named after Tiananmen gate (Gate of Heavenly Peace) of the Forbidden City. 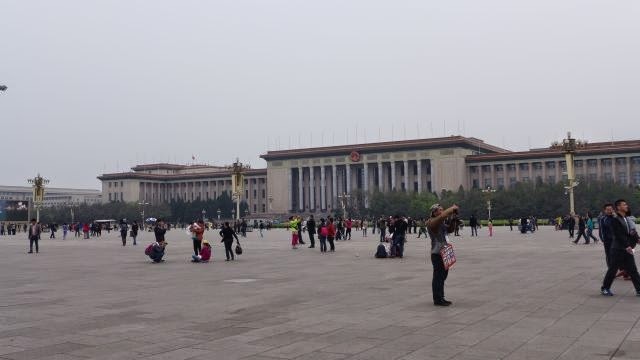 Tiananmen Square is known as the site for important political events and protests. It is a highly secured area with cameras. We had to get our bags checked before entering. 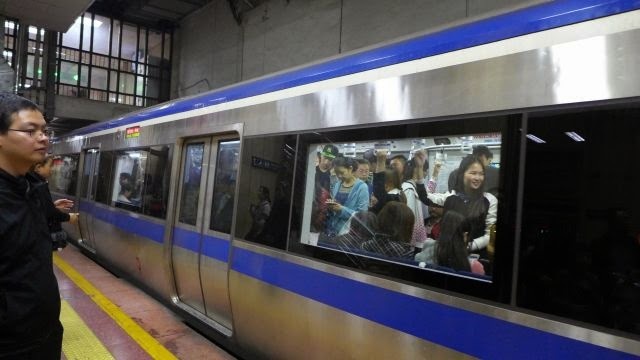 This is also done prior to entering the Metro. We didn't go into Forbidden Palace as it was already late at 5pm, just taking pictures outside. 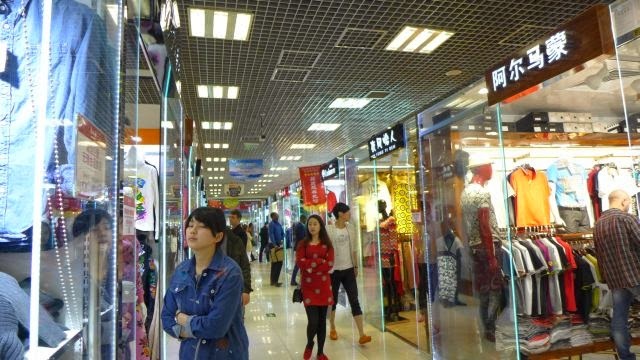 From Tiananmen Square, we headed to the nearby Silk Market via Metro. 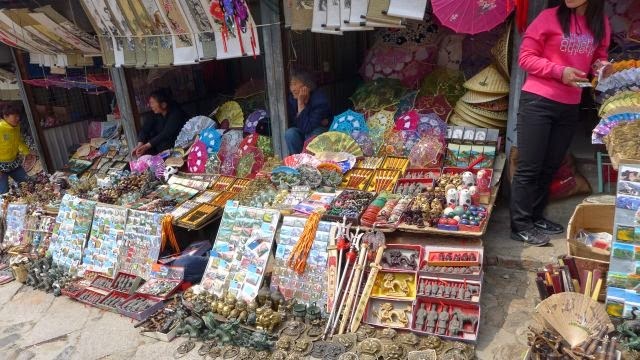 It was not really a market, but more like a shopping complex with numerous goods sold, such as clothes, shoes, souvenirs, goods made of silk, electronic gadgets, handbags, antiques, carpets and a whole lot more. I only bought some souvenirs here. 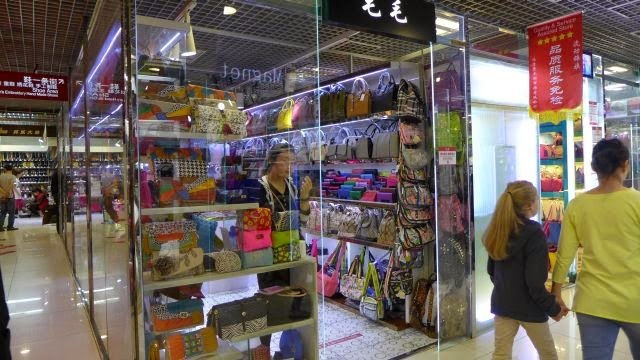 Counterfeit branded goods are sold here, despite signages showing shoppers to refrain from bargaining and purchasing fake products. 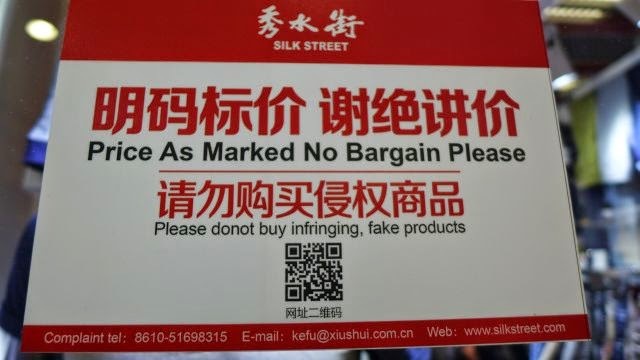 Obviously you have to bargain, as the prices quoted are very exorbitant. A colleague suggested to start at 30% of the prices quoted. The next day was free for us as the flight back to KL was full so we had to fly out early Sunday morning. 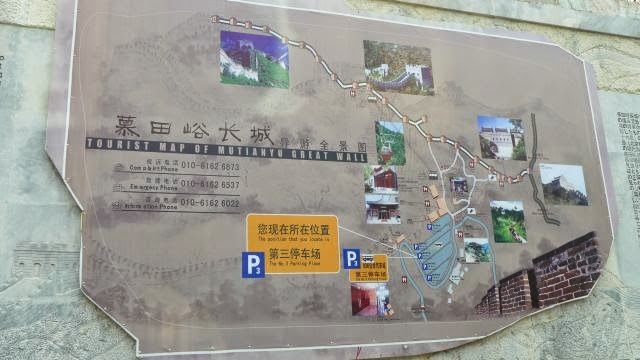 We took the opportunity to visit The Great Wall of China via the Mutianyu section of the wall. 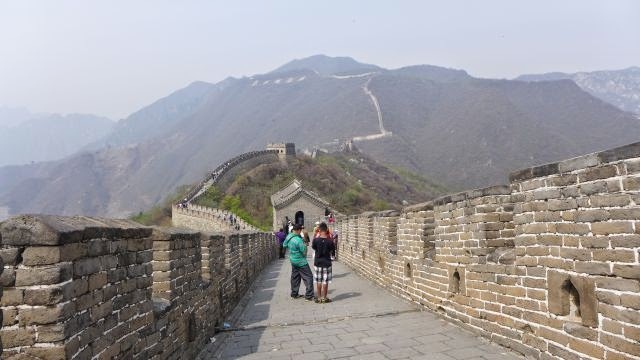 My first visit to the Great Wall was via the Badaling section. The traffic was really bad on Saturday morning. We only arrived 2.5 hours later despite the distance of only 61km. There were many tourists already when we arrived at 12noon. We only had until 2pm to spend at the Great Wall. 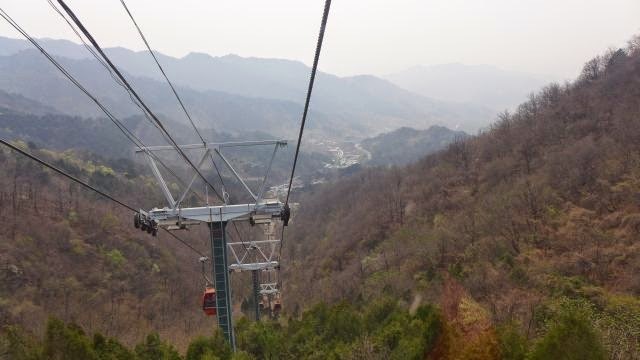 Since it was a steep climb to the wall by hiking and we had only 2 hours, we decided to take the cable car. 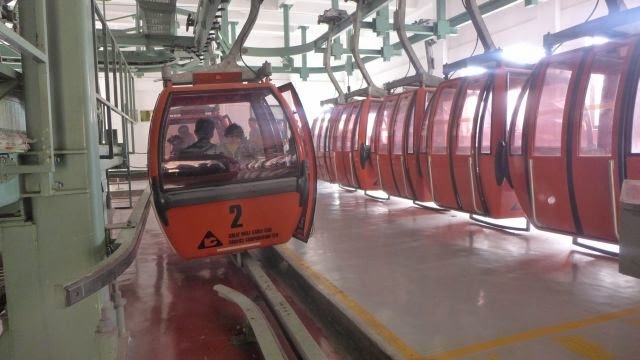 Cable car return trip cost RMB 80 and the entrance fee cost RMB45, totalling to RMB 125. If you have the time and energy, perhaps you could hike up and down, enjoy the beautiful scenery and be healthy! The Cable Car took us to Tower 14. From there, we walked to the west for about an hour, before turning back to Tower 14 and made our way down. 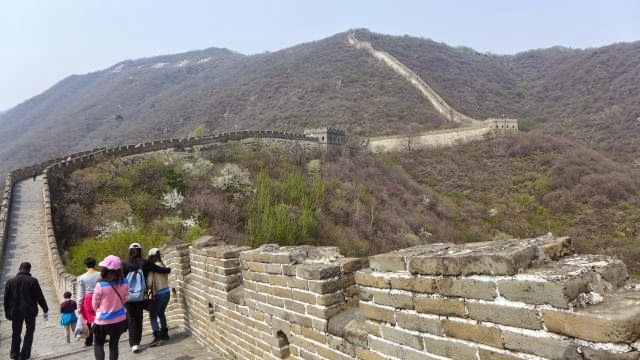 Such a pity we couldn't spend too much time at the Great Wall. 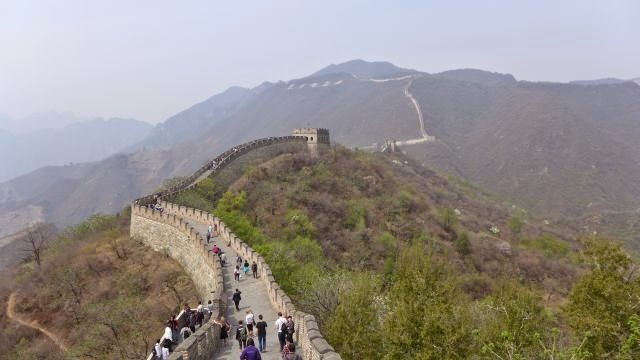 According to literatures, this section of the Great Wall was built under the supervision of General Xu Dha of Emperor Zhu Yuanzang during the Ming Dynasty. 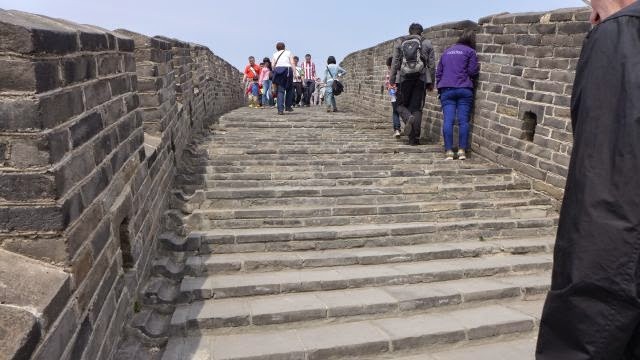 In 1404, a pass was built in the wall. It used to serve as the northern barrier defending the capital and the imperial tombs It was built in a unique way. 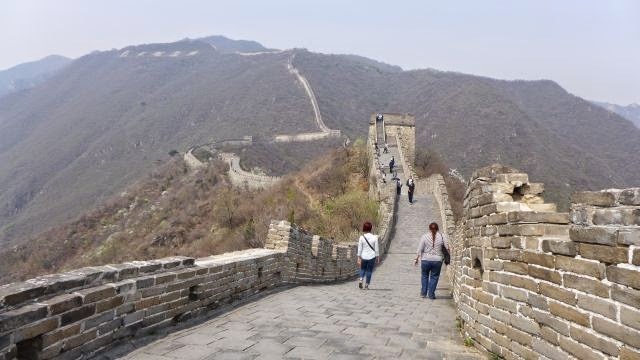 Watchtowers and passes were built on the steep mountain, 22 watchtowers on this 2,250-metre-long stretch. 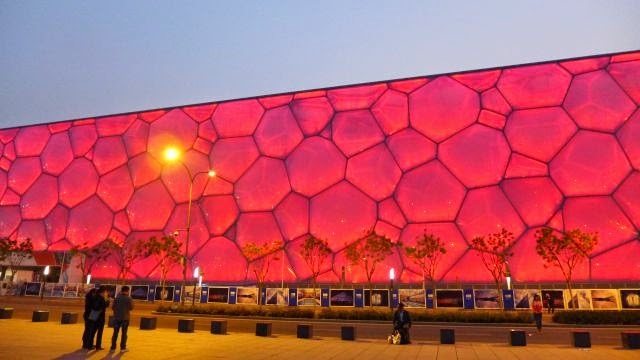 Built mainly with granite, the wall is 7–8.5 metres high and the top is 4–5 metres wide. 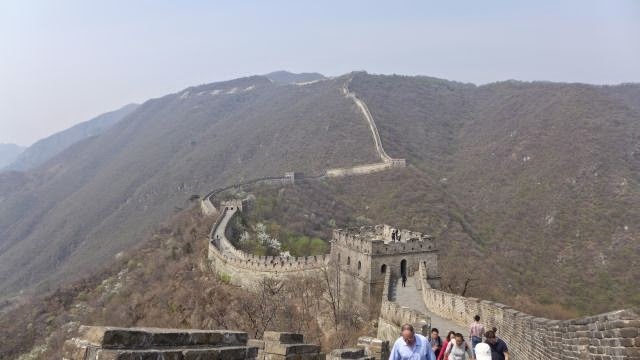 This section of Great Wall is surrounded by woodland and streams. 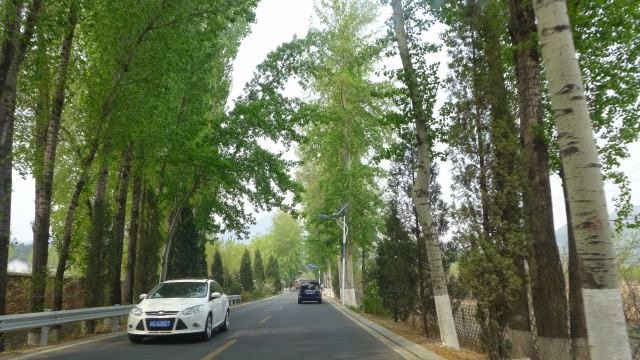 The forest-coverage rate is over 90 percent. 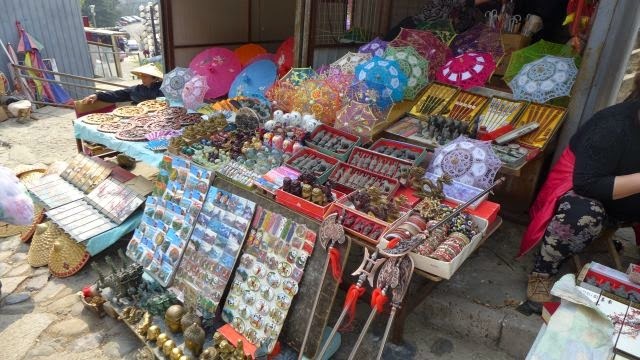 Before heading back to the city, I bought a bit more souvenirs from the stalls at the foot of the hill of the Wall. Prices were cheaper here than at the Silk Market. A seller was even selling t-shirts for 1USD a piece. Traffic was a bit better heading back to the city as we arrived around 4pm. After an instant noodle meal and solat, I continued the sightseeing to the Olympic centre via the Metro. 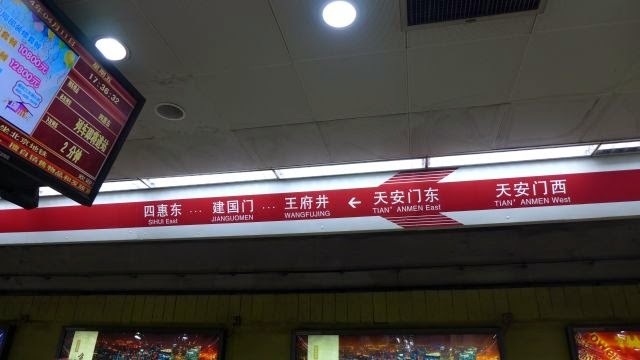 It was a bit further than Tiananmen Square, about 1 hour from the hotel to reach there, with 3 changes of the Metro line. Although on a Saturday evening, there were throngs of people. 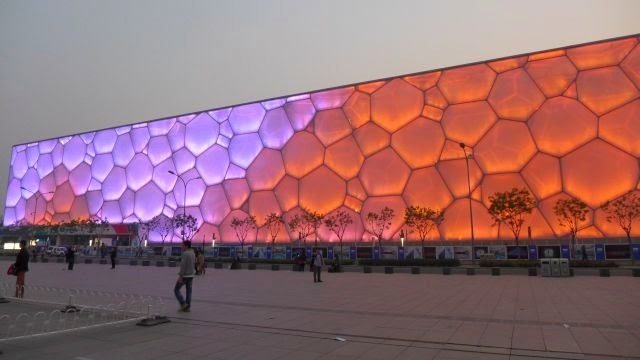 The Bird's Nest and Water Cube were such an architectural marvel. 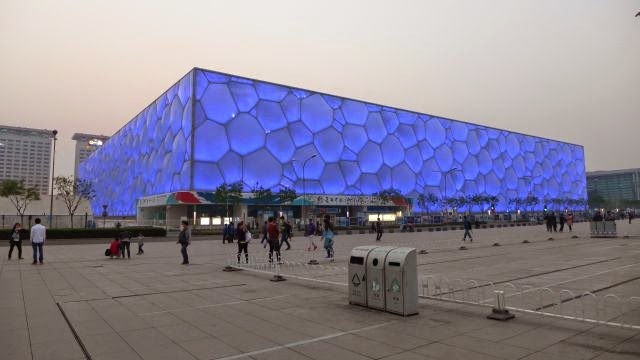 The Bird's Nest, as its name suggested, really looked like a bird's nest, although built with steel while the Water Cube was a simple cube illuminated in blue like bubbles. 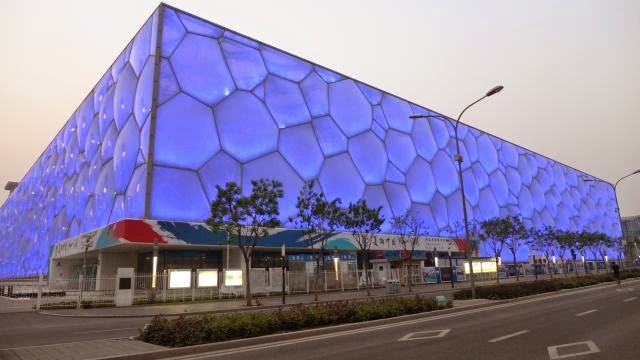 The water cube colour changed after 7pm, and it was even more beautiful at night with the illumination. 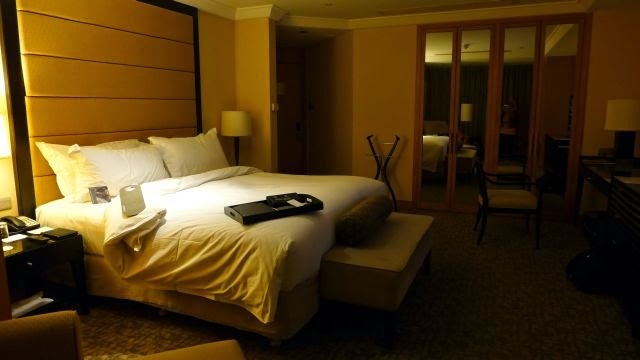 I quickly returned back to the hotel after some picture takings and selfies (I was alone) and reached back the hotel at 8.30pm, just enough time for a bit of rest before the taxi would come and fetch us at 10.30pm. Our flight that night was scheduled at 1.30am. We arrived at the airport at around 11pm, took us about half an hour only compared to 1 hour plus during our arrival due to rush hour. Goodbye Beijing, thank you for the hospitality showered to us, a contrast to what the media were reporting about the hostilities between Malaysia and China. 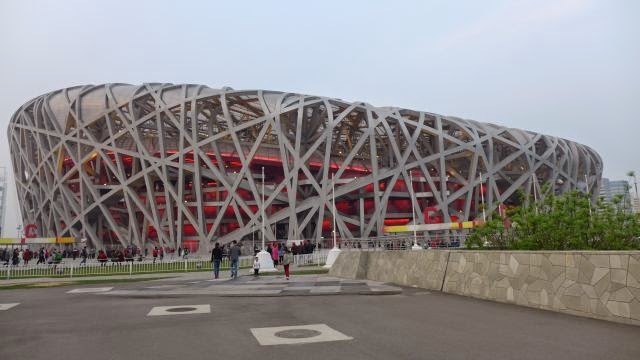 Heck, a Chinese woman even asked to take a picture with me at the Bird's Nest, seeing I was a bit 'different' from the rest.